Apex Personal Training was founded by Joel Eshelman in 2011. Joel came from working in the big box setting and has helped thousands of people start their journey in health. Joel always loved the work he was doing but unfortunately, he didn’t love the company he was doing it for. So he decided why not take a chance starting Apex Personal Training in the summer of 2011. He had one mission in mind. He wanted to put the “Personal” back into personal training. Joel started with only five clients, and he quickly grew to over 50 clients in the first couple months. Feeling overworked and feeling a sense of burnout after his first two years, Joel came up with an idea. He still loved what he did but felt capped at the number of people he could serve training one on one. He loved the idea of group training but felt that there was something missing in the models he’d seen over the years. So he came up with Personalized Group Training. He began running only six groups a week, and was writing out the workouts for every person who joined. It didn’t matter their fitness level, age, weight or limitations. He found a way to train anyone in the same group. Today Apex Personal Training offers fifteen groups a week. And has helped thousands of people live healthier and happier lives. Standing behind the philosophy that workouts should be safe, effective and efficient. As Apex has grown so have services that are offered. Apex offers One On One training, Personalized Group Training, Nutrition Counseling and Supplementation, Business Coaching and for new people entering the fitness world Brand Consulting, and Consulting for Gyms. He is also launching a For Purpose entity in the online training world called India Fit. Apex is constantly evolving as business and a community. We look forward to growing as needed so we can help serve as many people as we can. 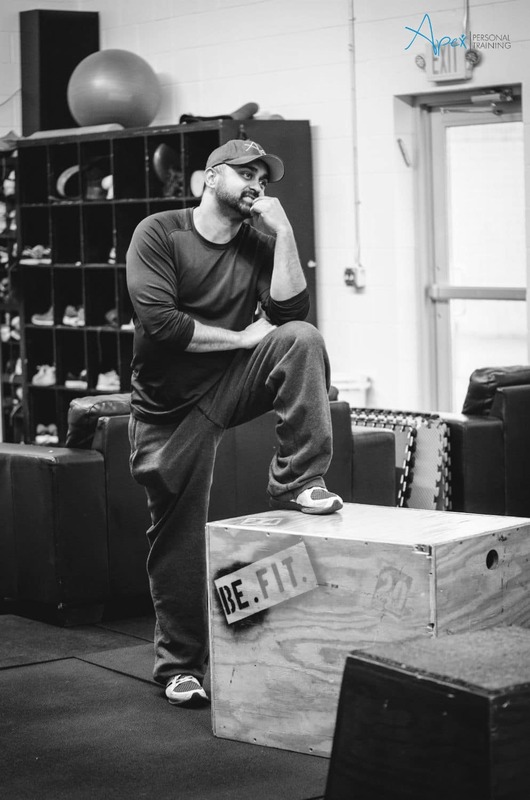 Joel Eshelman has been helping change lives through fitness for over a decade. Upon graduation, he has furthered his knowledge earning multiple certifications. Through his unique background, he brings a simple no-nonsense approach to his training style. His training philosophy is to keep things simple, effective and safe for his clients whether they are trying to lose weight or they are training for their upcoming season. Joel believes that applied knowledge through action and education is everything. This is why he continues to further his own education whenever possible, so he can deliver what he believes is the best for those who trust him in their journey. No two clients are the same not just physically, but mentally and emotionally as well. This is why Joel has believed that it's not just about a physical result, it’s about who you become throughout the journey as well. Joel’s passion for helping people shines through in everything he does in sessions and in business. He has helped thousands of people throughout his career and is always looking at how he can help even more. 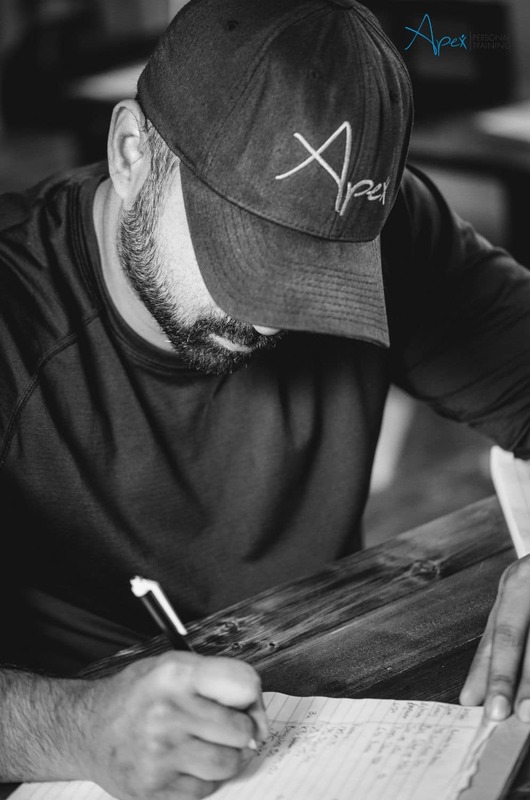 Joel lives in a suburb of Minneapolis and enjoys, playing basketball, working on his own fitness goals, attending sporting events, trying the newest restaurant in town, concerts traveling and especially traveling to play golf. His goal is to play the top one hundred golf courses in the United States and then the world. Joel is also a serial entrepreneur and is always working on his next business venture. Owning a gym or starting your own personal training business can be overwhelming. Joel has over 10 years working in the gym and fitness world and has worked in Big Box settings along with family-owned gyms. He has also owned and operated Apex Personal Training for almost 7 years. He understands the challenges that new businesses face in an ever-growing market. He has a no-nonsense approach and can help you build and structure your business the right way. So you can be relevant, profitable and have a business that can truly help people for years to come. Joel is passionate about helping others. He isn’t shy about sharing his knowledge. And believes that entrepreneurship in the fitness world is just getting started. Contact Joel today to see if he can help you! Q- Do you do contracts? A- No we do not believe someone should be bound by a contract when it comes to Personal Training. We are not in the business of binding people to us that way. We believe if we treat people the right way they will continue to work with us. If life’s circumstances happen, the last thing we want is to be a financial stressor in any way. Q- Do you train people for bodybuilding and fitness shows? A- No we do not. We would be happy to refer you to some great coaches if that is your goal. Q-Do you offer nutrition, or do you write meal plans for people? A- We offer nutritional counseling and nutritional systems that can help you with your goals. We do not write meal plans for people, but do lay out what people should be eating and assist in educating them so they can make the best decisions. A- No we do not. A- No- while we would love to say we live in a perfect world, where people did exactly what you told them to we do not. We are guides and that's exactly what we're here to do. We believe that health is journey, not just a destination. That being said, we will do our best to guide you to being the best version of yourself. Q- Do you do weigh ins and measurements? A- That depends on you! If you are wanting to see the results by the numbers we will help you track those numbers. If you don’t we won’t!